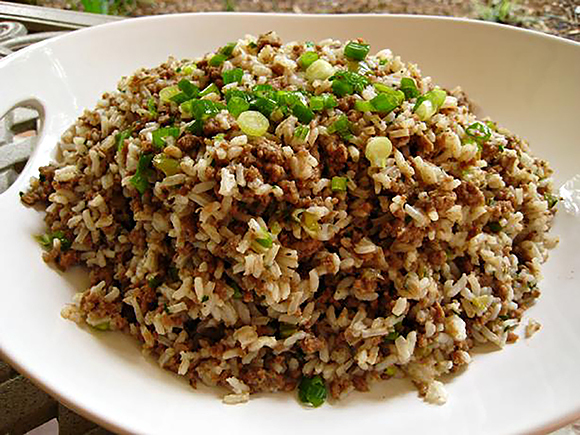 A deeply flavoured and aromatic rice without the meat usually added to Dirty Rice. Once the grains are lightly golden, (At this point if using a rice cooker add the veggies & rice to the rice cooker and stir in 2 cups of chicken broth) or stir in the 2½ cups chicken broth to the pan. Cover and let simmer for about 15-20 minutes. Once cooked and all the liquid has absorbed, fluff with a fork.